This is my new favorite made by me t-shirt. I really like making t-shirts. Ain't no secret. 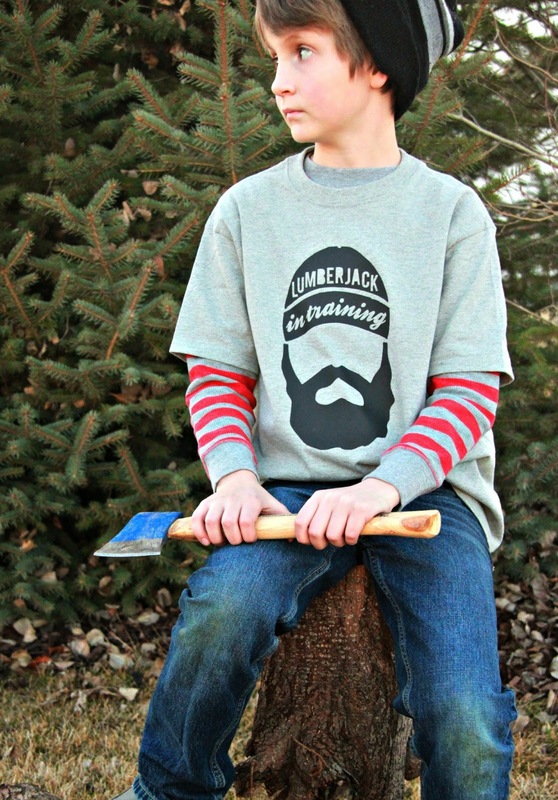 I have been wanting to make a lumberjack t-shirt for awhile. At first it started because like most single females between 20-25 my sister is obsessed with lumberjacks (well the hipster version of lumberjacks) and I thought about making a shirt for her. 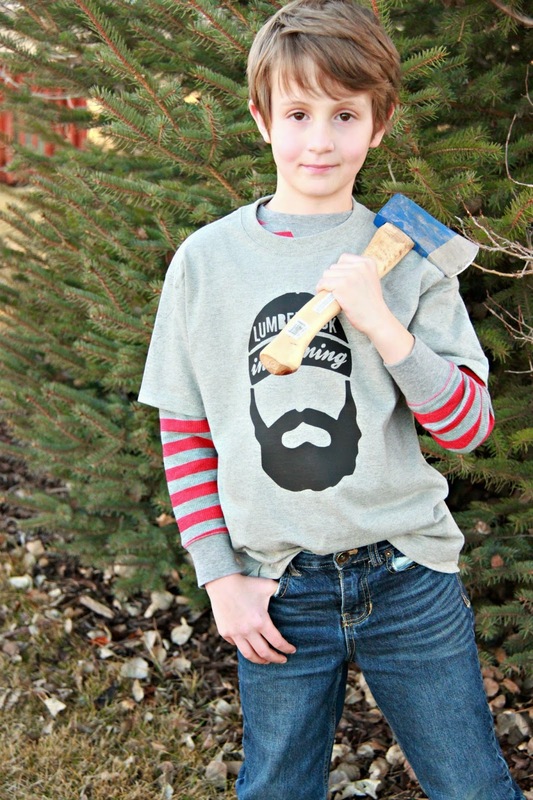 Then I realized I have four Little Men and they are basically hipster lumberjacks in training. 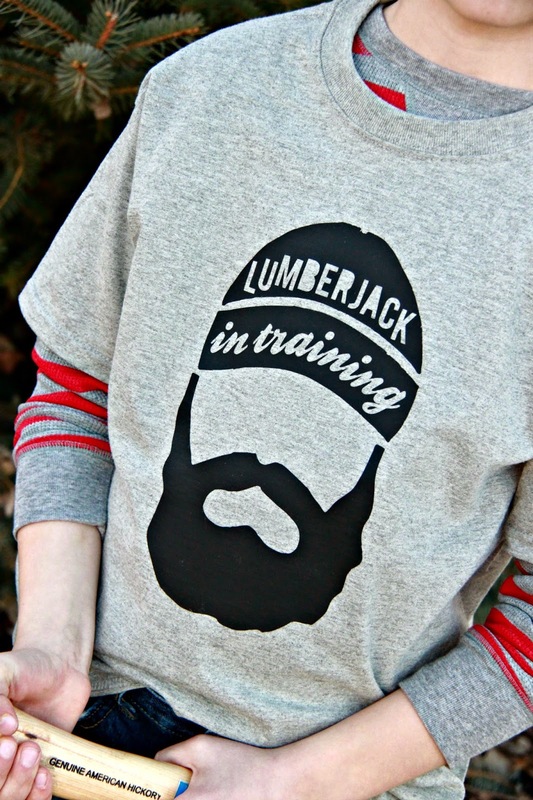 AKA, they are a little ways away from the quintessential lumberjack requirement...a beard. 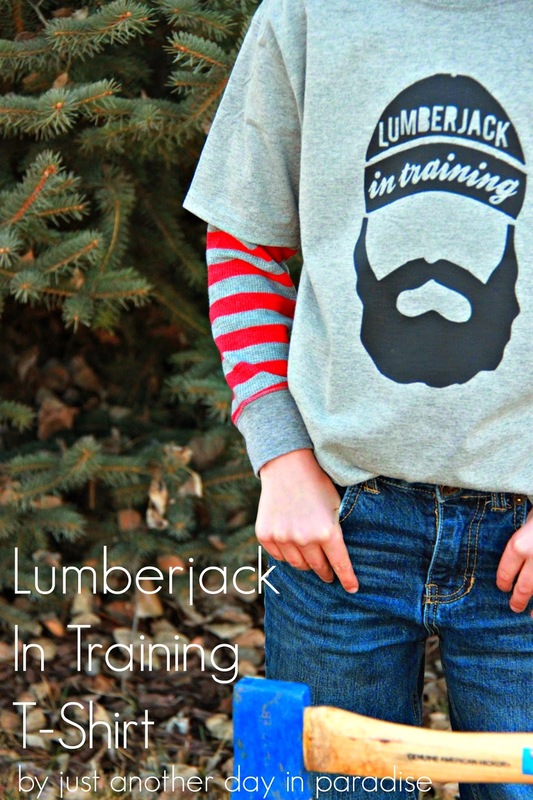 So it became pretty clear that the first lumberjack themed shirt I needed to make was a Lumberjack in Training T-Shirt. Sorry Sister. 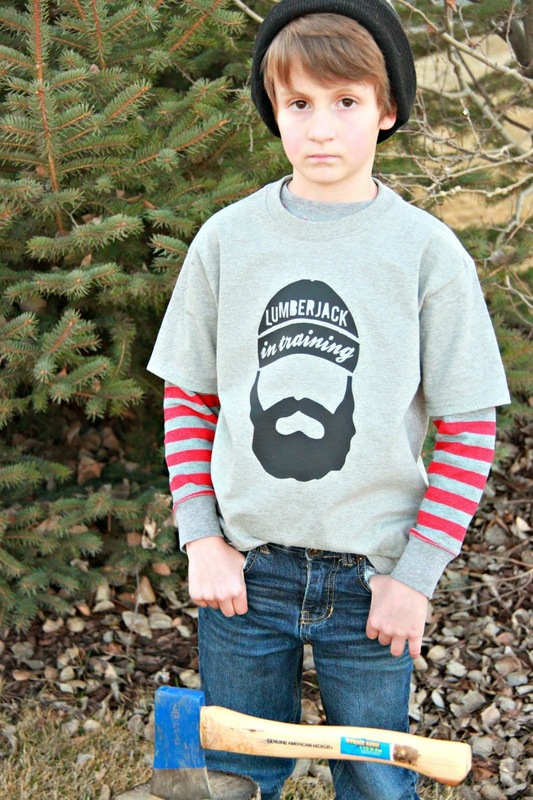 When I started drafting up a design, I knew I wanted a lumberjack beard and a lumberjack beanie. 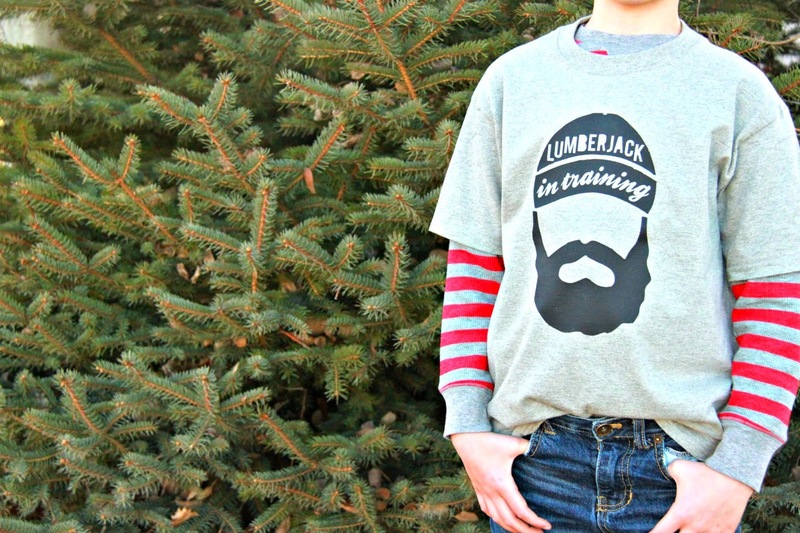 The shirt would be fabulous that way, but I decided to add the "Lumberjack in training" part. Pretty sure this Little Man of mine is killing it in this shirt. I don't know what I am going to do when he (or any of the other boys) can actually grow a beard. I am probably going to cry and then start harshly judging all of the girls that try to date him (them). Kidding. I don't judge. I do, however, cry. Now I just need to make three more. 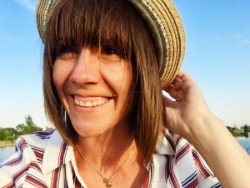 Oh my heart be still! 😍😍😍 These are beyond perfect Rissa!